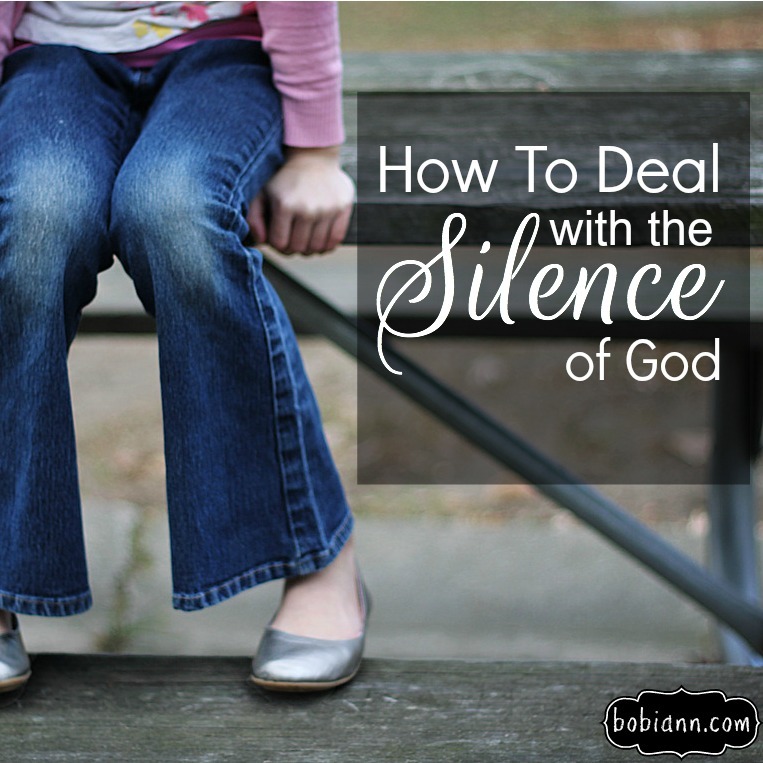 I’m certainly not the first to write on the silence of God. In fact, there has been countless sermons and articles written on the topic. One can only surmise my friend was not alone in her experience. Sometimes God simply seems silent. I’ll never forget as a junior in college taking a class called “Intro to Ministry.” In the class, we read a book called Devotional Classics. It was the first time, I heard or read on the topic of God’s silence, even going as far as referring to it as a dark night of the soul. I could not wrap my brain around my God hiding Himself. This was not the God I knew. I understood God easy to find. However, the further I have walked upon this spiritual journey, the more I have found God does, in fact, reserve the right to be silent. It is in these seasons of silence, when we must remember key principles regarding God and His character. God is crazy about you. He loves you so much. In fact, God’s silence is often a demonstration of His love. God desires nothing more for you to love Him in return. Unfortunately, our devotions wander. We are fixated to our personal well-being, our comfort and our status while God yearns for our full attention and affection. God does not remain silent as a punishment but to create an angst in us for more of Him. He wants us to long after Him. God has promised to not remain silent forever. In fact, He promises to answer us. Yet, these promises, come with a condition. His promise to answer is dependent on our seeking Him. Now if any of you lacks wisdom, he should ask God, who gives to all generously and without criticizing, and it will be given to him. When I consider my friend’s story and remember the conditions of God’s promise, I wonder why she didn’t hear from God. She was seeking Him. So, did God fail to keep His promise? A legitimate question for sure. My experience with God is that He and I are rarely on the same timetable. God is working but not usually at the pace I would like. If I am not in step with God’s pace, I must slow down and wait. But what do I do? I need an answer. The answer is to continue to be faithful with the assignment in front of us. When it would seem God is silent, we must trust He is busy working out His purposes. I’m not a fan of the unknown. But as a follow of Jesus, I am content knowing nothing is unknown to Him. One of my favorite songs is “The Silence of God” by Andrew Peterson. Of course, one of my favorite books of the Bible is Job, so I’m not sure what that says about me, other than I get the “dark night of the soul” thing. when even followers get lost? This is why I get so frustrated when even slight shades of the prosperity gospel creep in to otherwise solid teaching and preaching: because I know what it does to the hearts of those in the middle of the dark night, in the middle of the silence. To suggest to single people, for example, that if they just get right with God, he will give them a spouse (so, I guess married people are all more mature spiritually, right?). The silence of God is such a mystery. Those who are quick to suggest the favor of God is based on anything we would/could ever do should be considered presumptuous. Thanks, for your feedback, Liz. I love this post! I tend to feel far away from God when He is silent when the truth is he never leaves. I also have to remind myself that silence is not the same thing as ignoring. Sometimes He’s speaking but I just have to be quiet and still enough to hear him. Or I have to seek Him in places I haven’t looked before on order hear Him. Leaving my comfort zone, so to speak. Thanks, Bethany! The silence of God is something so real and a desert we never want to walk through. Good to know we don’t walk alone! Bobi Ann, I really enjoyed this. I’m sitting at my desk right now in front of a stack of books that includes “Devotional Classics” so I know what you mean. God is not afraid of long pauses. I think we sometimes “put in a work order” for God and start a timer, as if we are in a drive thru. He, on the other hand, waits for the right time and for us to ask the right questions. Sometimes He waits for us to just ask Him what He wants to tell us and then listen rather than framing a closed ended question that puts His answer in a box.